Visual artists and twin sisters who created, in 2002, the artistic group Art al Quadrat with which they present works in video, installations, photographs and other media, on a national and international scale. The main starting point of Art al Quadrat's work is based on the things that surround us: family, memory, religion, problems in the city, country ... They are especially interested in how large structures affect everyday life, or how history is present within personal stories, small and invisible. They propose to rescue from oblivion what goes unnoticed by the senses, approaching these issues from a critical point of view, questioning all the structures that oppress people. The work of Art al Quadrat bifurcates into two lines of work: the first, encompassing a work on his own intimacy that includes autobiographical reflections using his life as the basis of the work; the second aspect, on the contrary, derives in a work of a social, critical and committed nature that has led them to participate in several public art events. 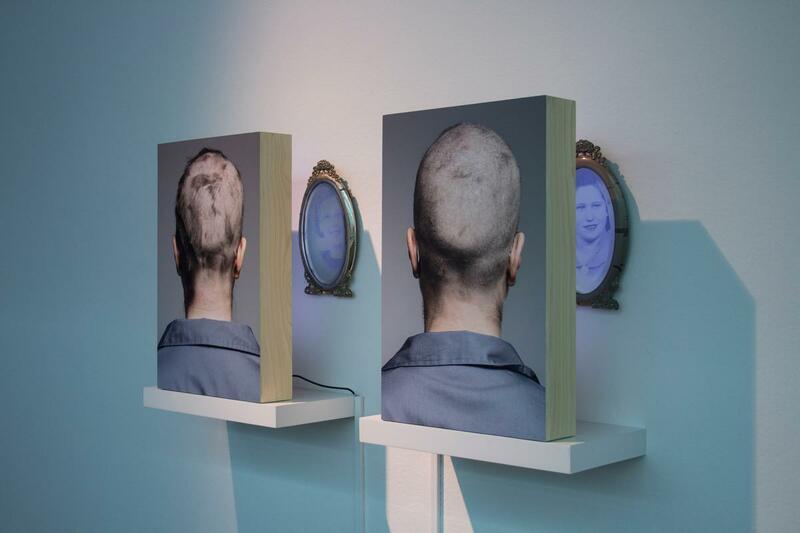 In the case of autobiographical work, they have used their relationship as twins to create, as for example in the last project entitled From False twins to true twins, 2012 where they discovered that they are monozygous and not dizygotic how they thought. This is an excuse to create about how twins have been studied throughout the history of mankind. Another biographical work is Portrait of Family 2008. In this case they studied the life of three generations of his family related to the history of Spain (civil war, postwar and democracy). With regard to social art, they have dealt with different current issues such as violence against women, ecclesiastical pederasty, massive construction in public areas, education, the environment, different types of manipulation, human rights, ... some of these projects have been shown in the public context: in streets, walls, the Internet or in Public Art Festivals. For Art al Quadrat it is not possible to separate life from work and work from social criticism in order to denounce and contribute to giving solutions as well.